How fast could a zombie outbreak spread? 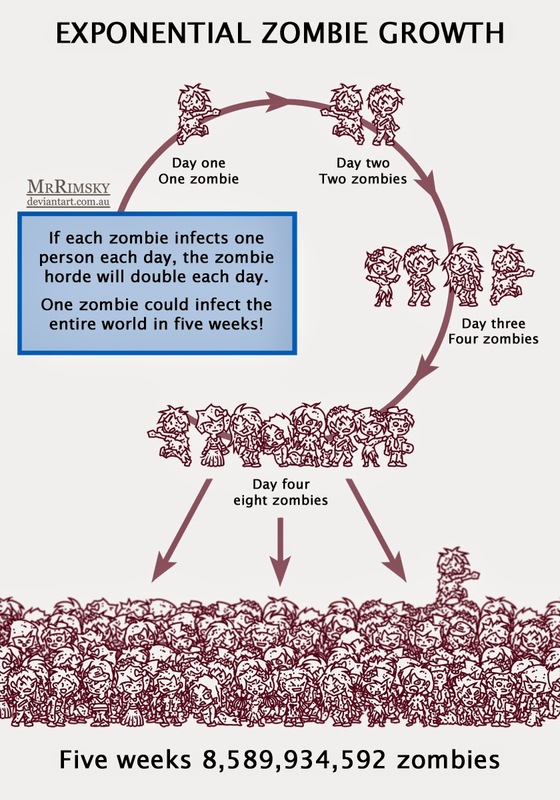 In theory quite fast if zombies multiply exponentially (like bacteria do). For example doubling in population each day. With a world population currently over 7 billion, it would take just 35 days (five weeks) to convert the entire population into zombies. Or even quicker if the zombies go on a eating binge. Sadly, this is not a realistic scenario. There are too many variables that would slow the spread. Things like hungry crocs.